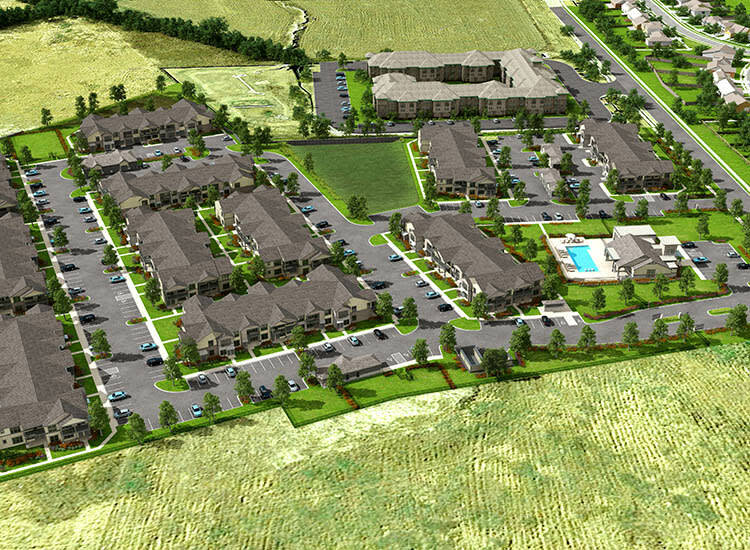 Enjoy the best of both worlds with a townhome-style apartment at Springs at Sunfield. You’ll be ideally located right off I-35 in up-and-coming Buda, one of the fastest-growing suburbs of Austin, Texas. Experience the small town charms of the Buda Lions Country Fair & Wiener Dog Races every April, an event that draws visitors from all over Central Texas. Become a regular at the Tavern on Main or Brooklyn’s Down South, two watering holes on Main Street that have helped transform downtown Buda. Get outside and discover why the Texas Legislature named Buda the “Outdoor Capital of Texas” – it’s because Buda has more parkland per capita than any other city in Texas. Get a great workout on the miles of hiking and biking trails throughout the city, or explore the numerous historic homes, buildings, and structures sprinkled throughout Buda. Springs at Sunfield’s convenient location makes it an excellent option for commuters into downtown Austin and the surrounding area. Hop onto I-35 for a quick 16-mile drive into the heart of the arts, dining, and culture of Austin. Cheer on the Longhorns at the University of Texas, meet up with friends over breakfast tacos at one of Austin’s killer restaurants, or check out one of the city’s great events, like Austin City Limits or SXSW. For a taste of small-town charm with a convenient commute into the big city, you won’t find better than Springs at Sunfield. Schedule your tour of our studio, one, two, and three bedroom townhome-style apartments today.